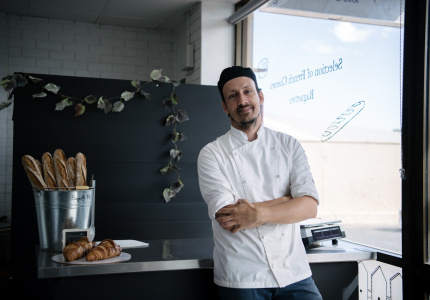 Since opening their tiny 18-seater yiros shop on Seaview Road in Grange in 2016, Tony Yialas and Tracey Barnes’s Cheeky Greek has been packed out with customers every summer. 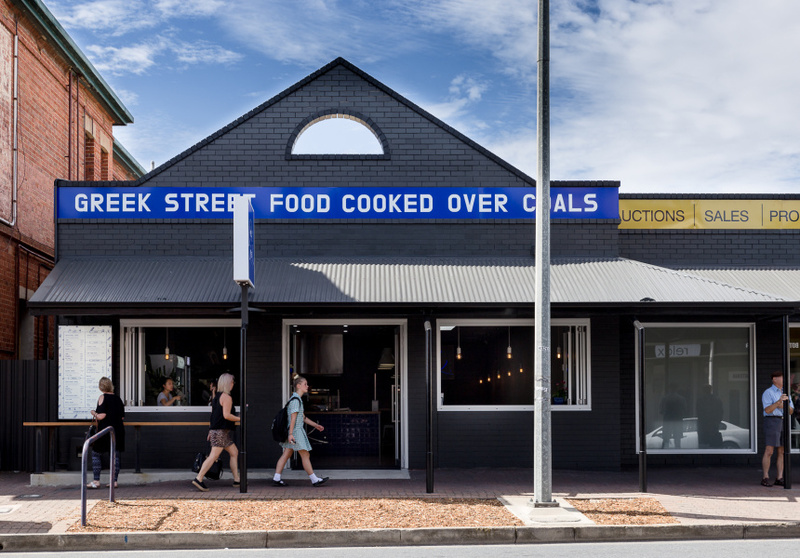 That success led to the couple opening another at Henley Beach – a five-minute drive down the road. 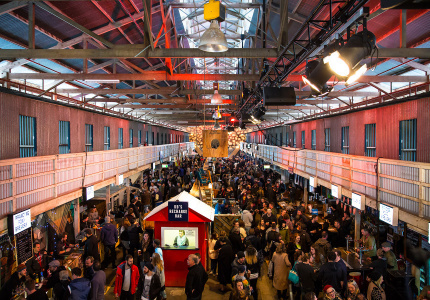 It’s in a space near Henley Square, in a former pizza bar. They also took over a chiropractor next door. The result is a large 50-seater restaurant (but if the weather’s nice, you’re mad if you’re not getting a yiros to take down to the grass or the beach). 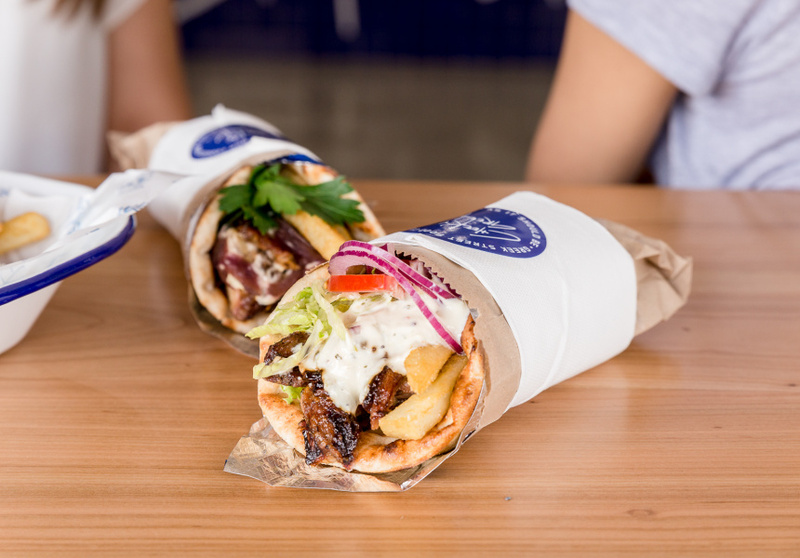 The menu is largely the same as the Grange original: fluffy pita stuffed with lamb or chicken cooked over coals (sub in haloumi, falafel or prawn if it pleases you), lettuce, tomato, golden hot chips and drizzled with house-made tzatziki. 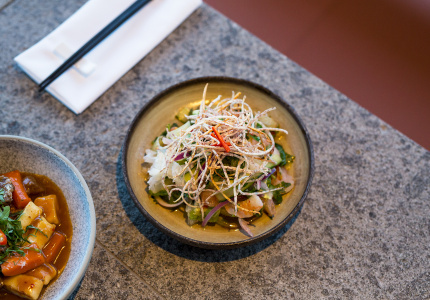 This location has the option of a yiros bowl, with the same ingredients served with sliced pita or rice. 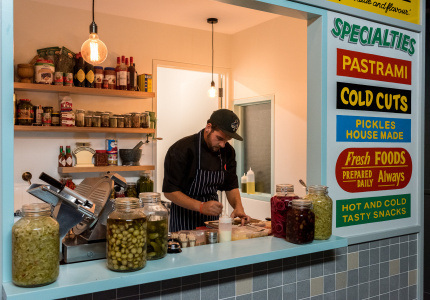 There are also salads, dips, dolmades and saganaki. 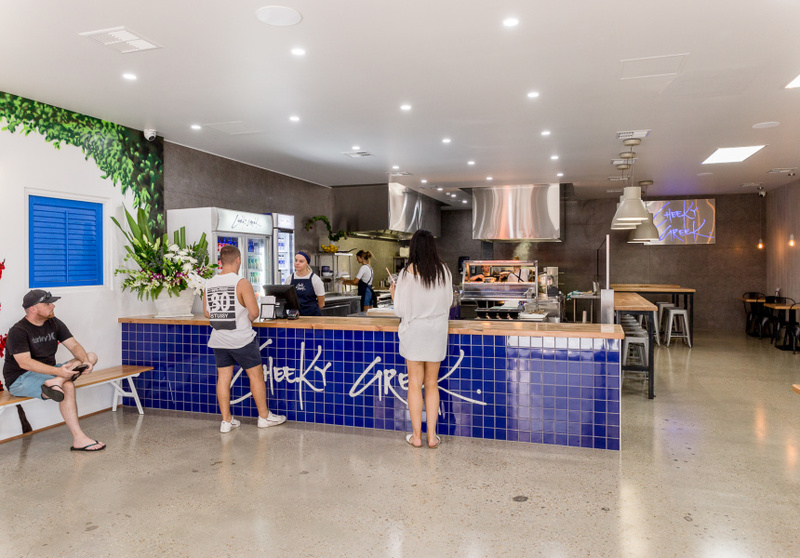 The space pays homage to the Greek islands with a white-painted feature wall with blue shutters and door, complemented by a blue-tile counter and a polished concrete floor. The space is ample, and still casual enough to stroll into from the beach without shoes.